Gamers who want to get into smartphone gaming but are still on the fence because of virtual control pads now have an alternative option. Sony will be shipping out all of its upcoming Xperia SP devices with native support for the PlayStation 3 DUALSHOCK 3 controller. The option had been available for rooted devices, but it makes practical business sense for Sony to make extra money by selling the controllers itself. 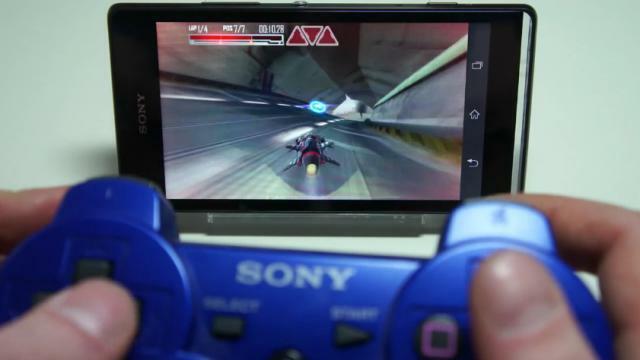 Installation requires nothing more than plugging the DUALSHOCK 3 into the phone through a USB OTG cord for the initial connection, but afterwards, it will connect directly through Bluetooth using Android’s standard controller API. Naturally, only games that have USB controller support will be compatible with the DUALSHOCK 3, but that includes a wide variety of PlayStation Mobile games as well as other popular hits available from Google Play. I’m not quite sure how functionality will come into play when using a controller to play on a crowded train, but it’s nice to know the option is there for a quiet night of gaming at home, especially when paired with HDMI support into a TV. Sony only confirmed that its mid-ranged Xperia SP will be supported by the DUALSHOCK 3. It has yet to mention anything regarding support for higher end phones such as the Xperia Z.